"The type species is Strombus taurus REEVE, 1857, with pointed spire (45°) with ornament of short median ribs. The outer lip has lobes at end of ribs and spines on the posterior corner. It is attached to the spire. The callus of the inner lip expands onto the base of spire but remains close to the aperture and narrow. The siphon is short, open and twisted up. Shell size ranges between 85–130 mm (ABBOTT, 1960: pl. 17, figs. 3–4). Strombus oldi EMERSON, 1965, is included that has a more rounded projections on the outer lip. Strombus taurus resembles Strombus (Lambis) lambis regarding the outer lip, but has shorter spines. Similar is Strombus (Tricornis) tricornis that connects to Strombus (Latissistrombus) latissimus with comparable shell size but its outer lip wider and more thickened." Etymology: Bandel, 2007: "The subgenus has received its name from the sinus bearing outer lip in free combination to Sinustrombus." Kronenberg, G.C., 2008. 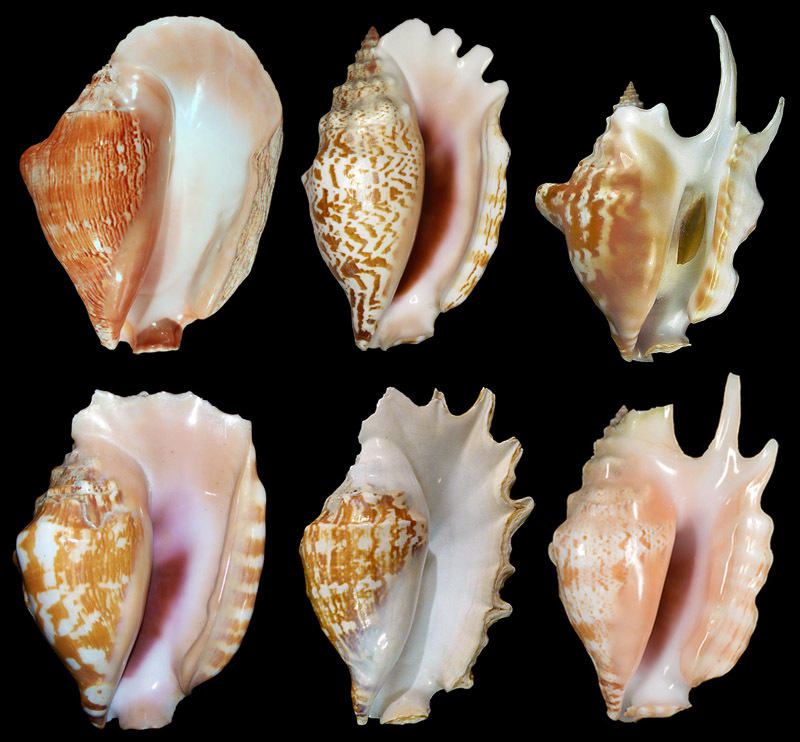 An intergeneric hybrid (Gastropoda: Caenogastropoda: Strombidae) with remarks on the subdivision of Indo-Pacific Tricornis. Basteria 72(4-6): 331-343.